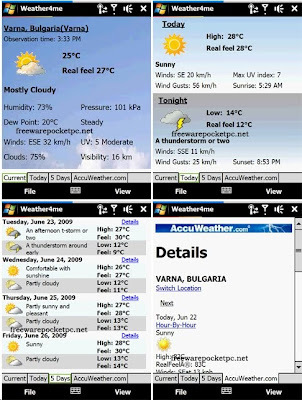 Weather4me - the best weather info for your PDA. 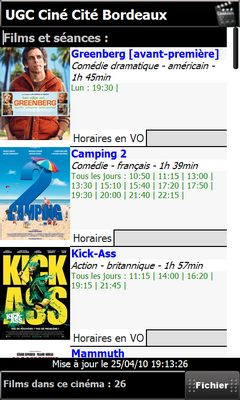 CinéActu's for Windows Phone (France) This is my latest creation. For those who want to have information of their favorite films in a single click! 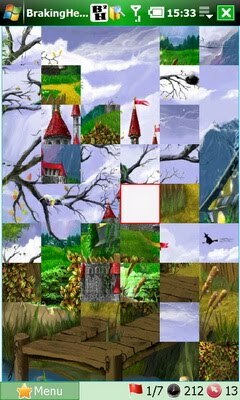 Fun puzzle game, interesting gameplay, 30 cool pictures, user image load option, all screens support. - Are you and your pals tired of Rock - Paper - Scissors? - Are you looking for the lucky guy to take the last cigarette / piece of pizza? - Are you looking for the victim to clean the bath or wash dishes? Select a dog and let them run! Keep your breath while they come close to the finish line! Live the glory of the winner! Time to exp. true new innovation and fun. The awesome mix of puzzle and action has arised. 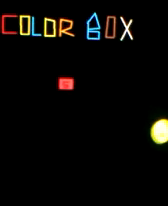 Colorbox windows mobile game is a very addictive puzzle-action game.Tested on touchpro2 and xperia1x.WVGA resolution only .Not HD2 compatible. 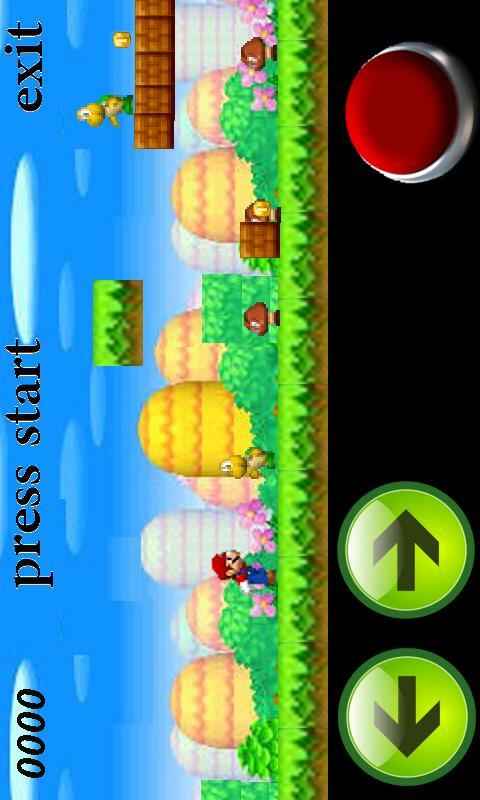 1)you protect woo the yellow charactor on the bottum from blue and gray balls ,by destroying them tapping them with your stylus. 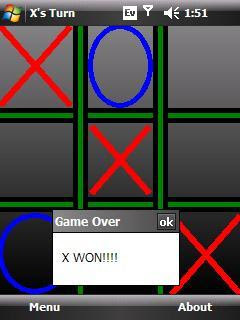 A)Red box=you tap it and it creates a beam that temporary destroy blue and gray balls. B)Green glob= the green glob hits the floor then transforms to a green arrow that shoots up and destroys gray and blue balls. 3)Woo collects poits by collecting the yellow balls. This application allows you to upload a picture, existing or taken with the camera from within the application, to imgur.com and shows the link for the original picture, small thumbnail and large thumbnail. The links can be shared with your twitter friends or copied to clipboard in order to use them later (email, sms). 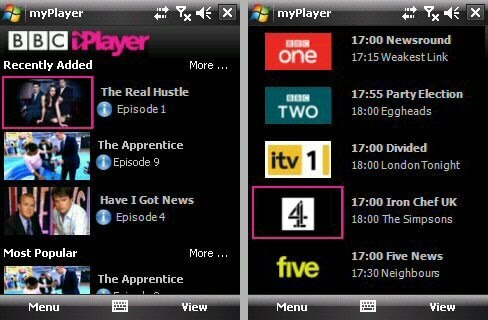 Known issue: the thumbnail displayed in the application aspect ratio isn't always the same as the original picture aspect ratio. I will try to fix that in future releases. Please leave your feedback in a comment. Thank you! -Windows Vista or 7 - editions with Windows Media Center. 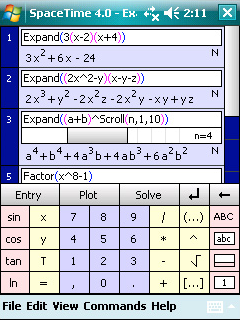 This initial release works on Windows Mobile 6.x WVGA (e.g. HD2), VGA and QVGA PPC Phones and enables you to capture pictures of Japanese signs and text for translation into English. User friendly and handy travel companion. 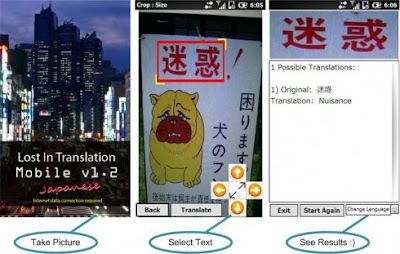 Provides Japanese Character Recognition and Translation. Integrated with Japanese Character Recognition cloud services. Google Translation integration for Multilanguage output support. O Gasosa é um programa para controle e gerenciamento completo de veiculos, com registros dos abastecimentos, média de consumo, gastos, controle de manutenção, trajetos executados, entre outras coisas... Atualizações constantes no site http://gasosapro.wordpress.com Novas atualizações aprimorando o sistema, além de suporte a multi linguagem. Move, zoom and rotate 2D, 3D and time graphs in real-time. 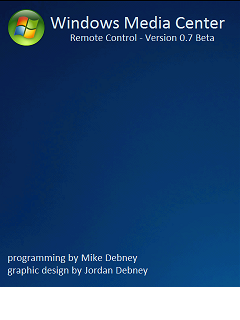 Explore mathematical concepts in an innovative interface and write your own scripts in our powerful programming language. NOTE ! - SpaceTime is free, but you may require a registration. When prompted to register, click the Register button to register for free. You must have an active internet connection on your device. If a message box appears saying, "The page you are looking for cannot be found" make sure you are using Internet Explorer on your device. 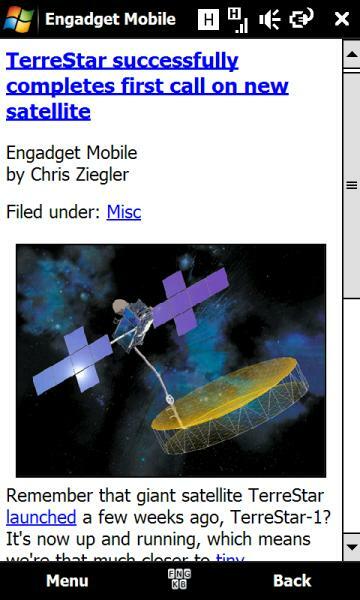 Speeed Reader is a Google Reader client for Windows Phones. 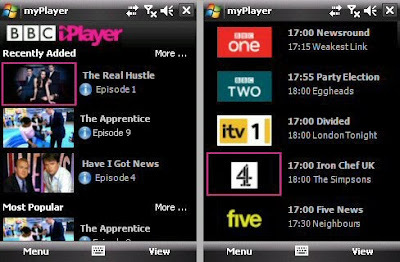 It connects users to their Google Reader accounts, allowing them to view and share articles on their Windows Phones. If you need a quick laugh, just fire it up and read a great facts about Chuck Norris! When you read a fact that you think is extra funny you can send it to a friend (as a text message). Share the laughter! 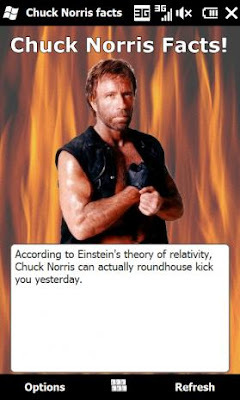 I know the chuck norris fact hype is not very current anymore, but I still get a (roundhouse) kick out of them, so if you do too, then check out the app. 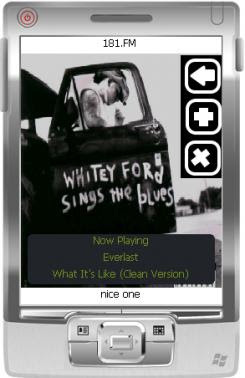 Music player for windows phones. SmartLyrics 1.0 uses a lyrics webservice to download lyrics to ur phone. Searching lyrics is very easy n faster with this application. 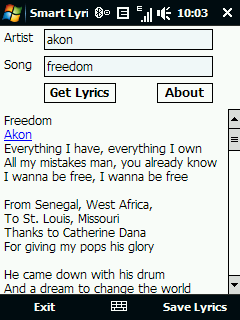 It provides you the option of saving lyrics u view. It requires Very low Bandwidth. 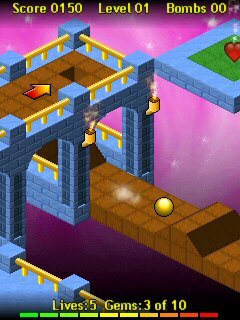 Guide your Marble through the isometric 3D scenery of Marble Worlds collecting gems and solving puzzles as you go. Use features such as bounce pads, air blowers, jet holes and exploding bombs whilst avoiding the evil marbles. Marble Worlds is a highly addictive and playable challenge, and hours of fun. -oh, and lots of beans! 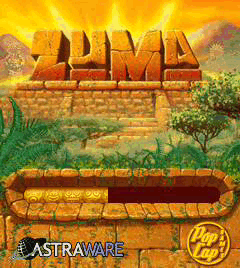 Survive the ancient temples of Zuma, the critically acclaimed action-puzzler from PopCap! Deep in the jungle lie hidden temples bursting with traps and trickery, and it's up to you to uncover their treasures. Fire magical balls from your stone frog idol to make matches of three or more and clear the deadly chain before it reaches the golden skull. Explore all the temples - if you're good, you'll rack up huge combos and special bonuses that'll help you on your way. But think fast and aim smart, or you'll be history in this action-packed puzzle challenge! Photo Manager is a favorite photo viewing program with features far beyond standards of the classic built-in viewer. 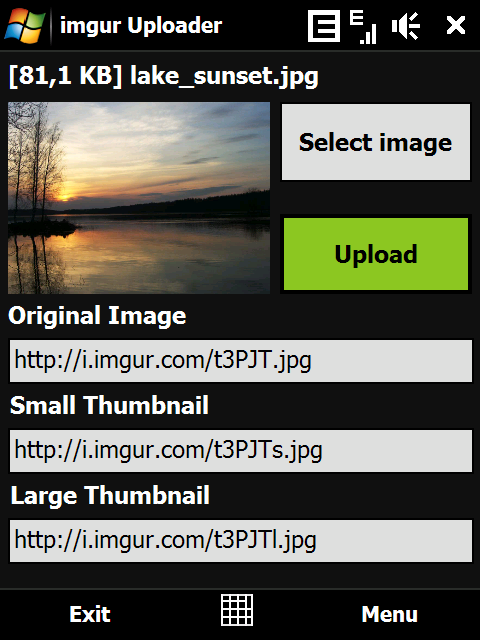 Users gain functions of complete image management in a modern looking and easy to handle application. Intuitive way of work, outrageous effects and many slideshow and edit features move other image viewing programs to the second line. 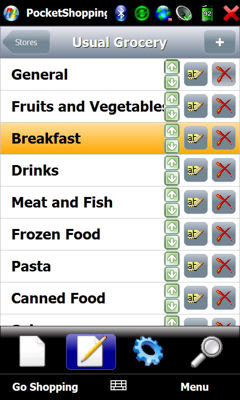 In this version all the functionality will remain the same as in the final release, only some possible glitches will be fixed. If you will find some, please report them to this forum. * You can decide which email to use when using the Send to Email function. 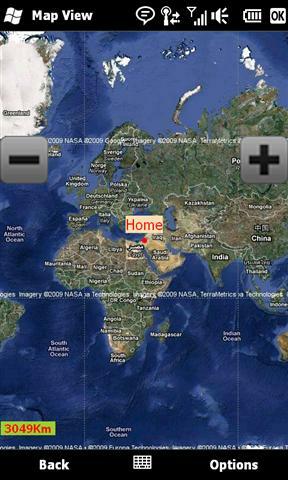 Google Maps Mobile is a down-loadable app to display maps, traffic, satellite images. 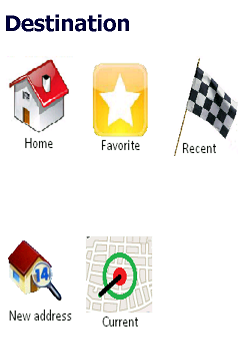 - New function Voice Search added. S2U2 (Slide2Unlock2) is a simple lock/unlock application which has the iPhone style slide unlocking. It can be used as a screensaver while you don't use your device. 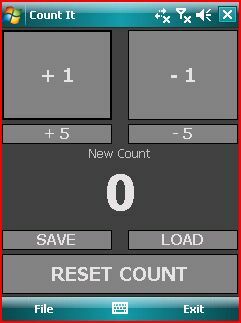 It has a CallerID function (but it may not work on some devices, so try it before use it daily); S2P control plugin; and volume control. 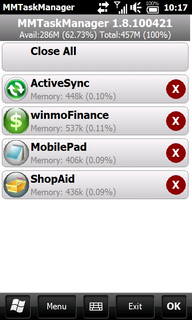 S2U2 shows many system information even without unlocking and highly customizable. - added options to remind any unread notification by vibration or sound or both (S2U2 Settings > Reminder). - added "60 minutes" option for "Snooze time" (S2U2 Settings > General). 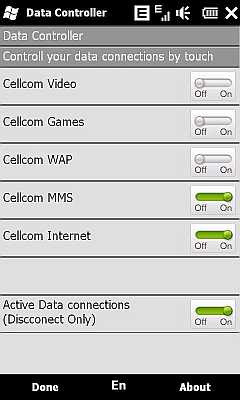 - added "Headset" option for "Lock on Talk" (S2U2 Settings > Power). - added option to check if any notification exists before unlock by the Proximity Sensor (S2U2 Settings > Power). - changed the action to shrink appointment info from "tap" to "slide up/down". - added "slide to view" for Appointment: tap an appointment to show its details & then slide the slider to open Pocket Outlook with that appointment day. - added slide action to the ON/OFF switch of S2U2 Settings. - fixed a very rare case that iLock2 would hang the system. - fixed Manila was positioned incorrectly after soft-reset on some devices. - fixed on some devices/ROMs, the hardware keys were locked even corresponding S2A option was turned on. - fixed voice mail notification icon was not shown if the value was negative. - fixed occasionally the "Replace WM6.5 system manual lock" did not work. Double your typing speed with Cliquick, a brilliant new keypad layout with finger friendly keys that leave you more valuable screen space. 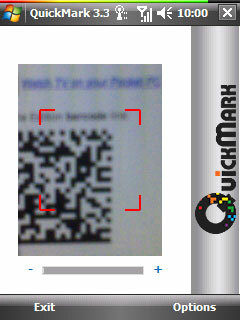 Cliquick is the fastest and easiest mobile text input solution. The Cliquick keypad doubles the typing speed and simplifies text input on mobile phones and other electronic devices, thus inspiring users to explore and enjoy all the features and services the device has to offer (email, sms, IM etc.). The keypad is equipped with finger friendly keys that leave users with more valuable screen space. So simple and brilliant that it is hard to believe no one thought of this before! Cliquick is self explanatory and functions just like the standard Multitap keypad. Recent International market trials indicated that subsequent to typing merely five sentences, users have already experienced faster typing vs. using the regular Multitap keypad which they have been using for years. After merely one hour of usage, participants already experienced nearly 50% faster typing with Cliquick over Multitap (users are expected to experience nearly 100% faster texting subsequent to additional usage). The vast majority of users said they would prefer using the Cliquick rather than using the Multitap keypad. Utilizes the best pointing device available; our fingers! The cornerstone of the Cliquick solution is the redistribution of the alphabet from 8 keys onto all 12 keys of a numeric keypad. Thus utilizing 50% more character keys without adding keys to the numeric keypad. 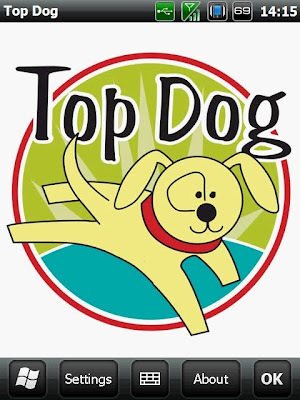 As a result, ten of the most frequent letters are located in the first position and thus require a single tap for entry. This enables users to tap once to enter a letter in 70% of the cases. Since only 2 characters are assigned to each key, the third position on each key is mapped to each of the ten most commonly used punctuation marks. Cliquick is the only keypad solution offering the ease of use of having a full keyboard along with the benefits of having a small form factor numeric keypad. Improve your running and cycling performance using your mobile phone! 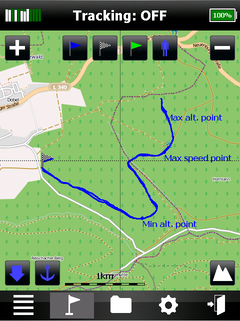 Easily log and map your tracks and results on the web, analyze afterwards or share with your friends. 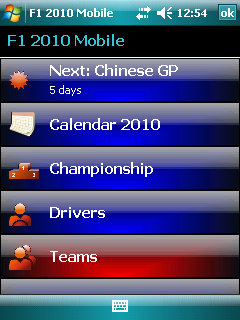 SportyPal is an easy to use intuitive application for your mobile device. You activate it when you start your running, cycling, walking, rollerblading or similar exercise. 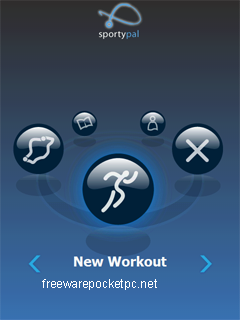 In two simple clicks it will start to log and map your position, movement, distance, tempo and calories burned. It will not affect normal operation of your mobile phone, so you can still listen to music, receive and initiate calls and messages. SportyPal will create a new excitement in your healthy sporty life. · The end (red/hang up) button should no longer cause your device to freeze. · Fixed the weird map thing that happens if you can’t resist the urge to switch your device’s orientation while waiting for the map image to load. · Fixed the pop-up menus. · · The one in the workout details form is no longer obscured by the map. 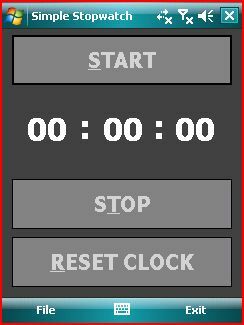 · · Entering or leaving screens while a menu is open will no longer cause the next screen to start with an open menu. · If you use the end button to close SportyPal while viewing the rotated workout map or graph, your screen orientation will be restored to default. · Fixed several crashes (thanks to everyone who sent in an error log – we can’t reproduce most of these issues, so you basically fixed this one yourselves). · · Fixed the share screen not remembering your Twitter username and password (again, thanks for reporting this). · · Your Twitter posts now have a short link to your workout. 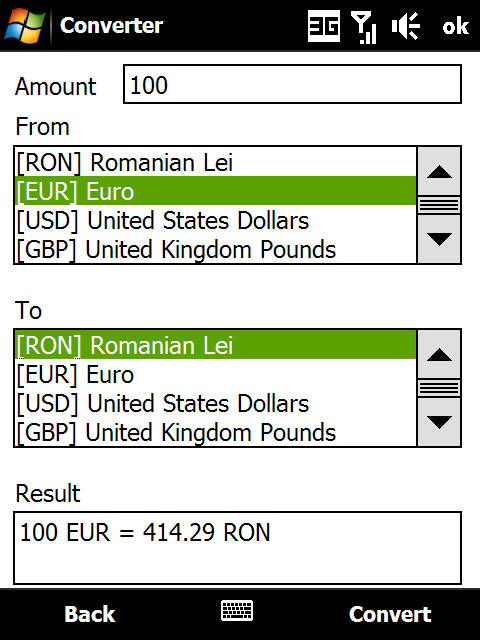 - Some improvement for new users: when application starts for the first time it detects units automatically according to the user's regional settings. - Gesture support. You can switch from the "Current" to the "5Days" pages and in reverse order by Right/Left swiping. - Internet traffic usage minimization for manual mode. - Minor changes in UI. 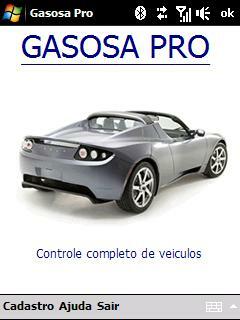 Program still compact, fast, informative and becomes more reliable. · Drivers, Circuits and Teams information. · When you make an update, it warn you if there is a new version. · vga (480x640) , qvga (240x320) ,wvga (480x800) and wqvga (240x400) versions. · Poles, first, second and third places information. Also dropouts information. · Time remaining until next race. · Bug corrected: when connections break when you are downloading updates. 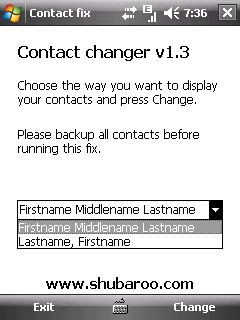 Are you changing all your contacts one by one to make them appear as "Firstname Lastname" in the contacts application? Then Contact changer will help you! It will make your life easier by changing all your contacts in one operation. 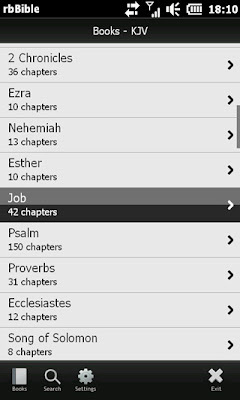 You start the application, select the way you want to sort your contacts and press Change. You can also add the company name to the display name. This was a freeware. The original company sold it for another and now it's paid. 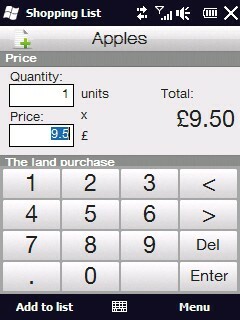 - Set the quantity to buy for each product. GemDrops is a fun and increasingly frantic game in which gems of different colours fall into the playing area. Your task is to rotate and rearrange the gems to form connected groups of five or more of the same colour. Gems fall in pairs under player control but can be rotated and moved around to control where they land. Once a group is formed, it will disappear from the game, causing any gems resting above to fall down. These can create "chain reactions" of further groups to provide an increasing score multiplier for extra high scores. 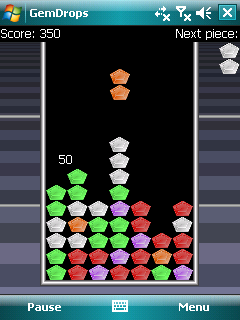 The game starts with four colours of gems, but additional gem colours are introduced as the game progresses. The speed of play gradually increases too to keep things challenging. From time to time a "rainbow gem" will appear in play. When this lands, all gems of the type that it lands on will be removed from the board (though no points will be awarded for these gems). This can be very useful to help clear the board or to set up chain reactions within the remaining gems. Smartphones and devices with a directional pad can use the d-pad to control the game. For devices with touch screens and no d-pad, the screen itself can be touched to rotate, move and drop the gems in play. all screen sizes from QVGA to WVGA, .NET CF 3.5. The DataController Prevent your data connection (GPRS) to start up. It lists all GPRS connections, and allows you to disable them so that they won’t be used. The tool is especially useful when going to another country then the data connection cost a lot during the roaming. 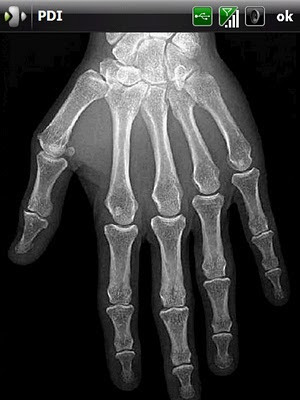 True fingerfriendly GPS routing software with routing functionality using google and cloudmade and tile downloading from google, microsoft and openstreetmap. So not only googlemaps and not only openstreetmap but best of 3 leading internet map providers. Be sure to have a new mobile6.5 phone or download dotNETCF3.5 before using it. 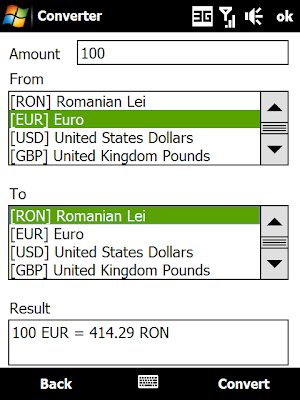 Exchange rates and currency converter for Windows Mobile. Human Mars colony is under aliens' attack. Our only hope of survival is you. 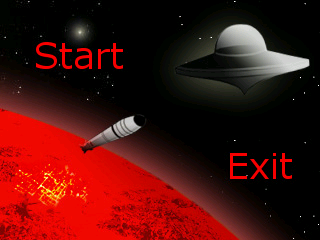 In this game, your task is to destroy all alien missiles by missiles fired from Mars turret or by nukes. You can buy life, shiled, nukes and faster missiles. Each level, there are more UFOs and their missiles are faster and stronger. Only for WVGA devices play as Metal Slug trapped on an island fighting endless onsluaght of enemies. Try to survive as long as you can , help will come from time to time.Great music sound and graphics. Tested on touchpro2 and xperia1x. Not HD2 compatible. The Eurovision Song Contest radio app I decided to build one in .net, because I couldn't load the web-site on my device (uses flash)... so now you can tune in to your favorite stars from the ESC 24/7 it is free, and has a little guessing game in it. so let's see if you are an expert! rbBible is bible app for windows phones which uses KJV & NET translation, other translations to come in the future. Note, this version, I made the computer a little more smarter; however, if I make the computer any smarter, no-one would ever win! 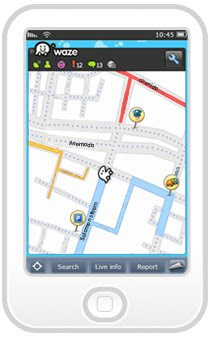 Waze is a free, 100% user-generated, social navigation app that allows drivers to build and use live maps & real-time traffic updates to improve their daily commute. In addition to providing turn-by-turn navigation, waze also gives drivers the ability to actively update each other on traffic, police traps, construction, speedcams and more, reflecting a live description of the road at any given moment – and because it’s user-generated, the more people who use it, the better (and more fun) it gets! WinMoSquare is a Foursquare client for Windows Mobile phones. 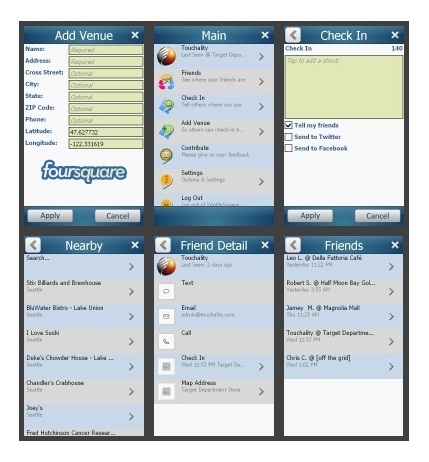 You can check-in to different venues, follow your friends, add new venues and much more !